Razor apples and candy corn. They’ll turn your frown upside down. Candy corn, eat them up. 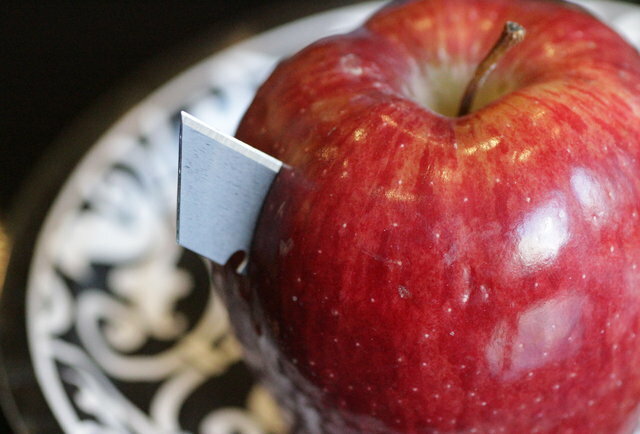 Maybe razor apples will shut you up? All the tales you tell are mine. Let the metal razor glide. Slice your tongue, make you seethe. Swallow blood, shut your mouth. Nobody cares what you’re about. Your mouth will bleed from all the lies.